Facebook's Telecom Infra Project is already pulling in a significant proportion of the world's telecommunications industry, just a year after it launched with the goal of dramatically cutting the cost of building networks needed to get the next billion users online. In that time, it has grown from five members to 450, and now encompasses technologies for delivering internet access by fiber, Wi-Fi, 2G and 4G networks, relay towers, drones, and satellites. Although the open technologies it is developing are aimed at cutting the cost of connecting users in developing markets, savvy network operators and in some cases even enterprises will be able to use them to lower costs overall. 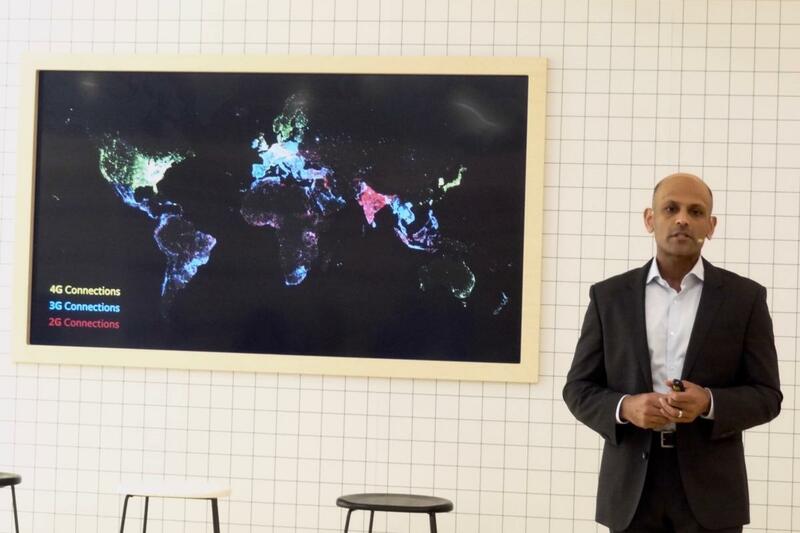 Facebook's head of engineering and infrastructure, Jay Parikh, gave reporters a run-down on the project's latest initiatives at Mobile World Congress in Barcelona on Monday. The first, Voyager, is an open optical transponder and routing system that operators can customize to fit their own networks. That means they're not stuck with a one-size-fits-all commercial system, Parikh said. Since Voyager was announced at a TIP meeting last November, "Major telcos are conducting trials and preparing deployments in their infrastructure," Parikh said. Swedish network operator Telia has said it will conduct a test over a 1000 kilometer route in its production network, while French operator Orange is now evaluating the technology. OpenCellular began life as a Facebook project to develop open infrastructure to build a 2G (GSM) cellular network. This is the technology the vast majority of Facebook's Indian users still use to connect to the service, according to a map Parikh showed. More recently, though, Cavium has contributed designs for open 4G networking equipment, which the vendor is exhibiting at the show, while test automation specialist Keysight has contributed open-source test software to help standardization and adoption of open 4G networks. "All of our connectivity technologies that we work on should be an order of magnitude cheaper than the existing commercial solutions," he said. "The folks working on Voyager or Open Cellular are able to bring an offering to telcos that they wouldn't sell or buy otherwise." While existing vendors are contributing designs and resources to help lower the overall cost of connectivity, Facebook wants to see new companies participating too. One obstacle to that is slowness of the innovation cycle when working with telecommunications operators, according to Parikh. "It takes a long time to build a product and get it adopted by telcos," he said. To speed up that cycle, TIP is providing technical assistance to a London-based venture capital fund with US$170 million to invest in startups focused on telecom infrastructure, and in partnership with U.K. operator BT has created its first startup acceleration center in Europe: TIP already has one in South Korea. "The U.K. fund will help entrepreneurs get funded, hire people and build their ideas," Parikh said. "We should see a lot more interest now from entrepreneurs in coming into the telco space." Many of the technologies that TIP is working on are about connecting subscribers over the "last mile" -- or at least the last few tens of kilometers from the nearest radio transmitter. But, Parikh said, there's another bottleneck that operators need to solve: backhaul. This is the carrying of data between wireless base stations and the core network, and generally involves either point-to-point microwave or laser links, or fiber connections. In northwestern Uganda, Facebook is working with two network operators, Bandwidth and Cloud Services Group (BCS) and Airtel Uganda, to construct a 770-kilometer fiber to backhaul traffic from existing 2G and future 3G and 4G networks serving around 3 million people. "Because it will be operated on an open model, other operators will be able to jump on and use the capacity," Parikh said. For one operator to build it alone, he said, the cost would have been prohibitive.